Looks like British Airways has some flights from Vancouver to Prague in mid-September and October for $827 roundtrip after taxes. To give an idea of the savings, that's about 40% cheaper than the cheapest flights just a week earlier in early September, which are around $1400. You can click through from Kayak to British Airways to book, or book through Kayak directly. There looks to be other cheap date combinations available in late September and October as well. Try a 3 day flexible date search around your preferred dates on Kayak to see what's available. 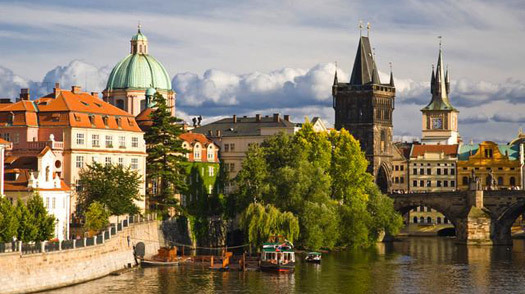 September is a great time of year to visit Prague, while the weather is still mild, but with fewer tourists. vancouver, yvr, flight deals, eastern europe, europe, central europe, prague, czech republic, prg and british airways. 5 Responses to "Vancouver to Prague | $827 roundtrip after taxes | September flights"
Has anyone found a way to keep this price and do a stopover in London? Check the screenshot... on the very right, it says 1 STOP (LHR) which is the airport code for London... this applies to both ways. I think Karyn might be referring to getting a long stopover in London for a day or two. Similar to getting a free stopover in Amsterdam on KLM. Curious about a long stopover in London as well, haven't had any luck searching on the BA site under multi-city. Anyone else?